Another year of Poppy passed. When it rains Poppy...it rains Poppy! This time I got smart and did a group shot of my entire 2015 Poppy collection. It was a fun Poppy year. They had a purple haired one. They had a dark-skinned one. They had a squinty eyed one. And in 2015, I finally got Poppy's best friend, Darla Daley. The collection had a little bit of this and that for different doll collecting tastes...So, of course, I got most of them...It makes perfect sense! 2015 was the year I was absolutely loving the Poppy friends. Peace, Love and Soul Darla is the first Darla I've fallen in love with. The hair. The makeup color palette. She's just awesome. Nigel is pretty cool too. He's got the long hair and the whole widow's peak hairline thing going on. I didn't like the default outfits on either dolls but I saw the redressing potentials so I'm glad I took a chance. Darla won't have a problem stealing outfits from her friend, Poppy. Nigel, on the other hand, will have to suffer in his sinfully vibrant shirt for a while until I find him something less psychedelic. Unfortunately, I don't have a lot of boy dolls he can swap clothes with. I would like to note that The Camera Loves Her was the doll I was most excited about when I first saw the 2015 Poppy collection promo shots. I love all the colors used on her, from her light tanned, or what IT calls 'hungarian' skin tone, to her lime green jumpsuit with silver sequins, and even the blue and pink balls on her earrings. Sadly, she was the one I was most disappointed with when she came home cross-eyed. I even sent her head back to see if they could correct her vision. It looks better now but she's still cross-eyed...so I suppose she was destined to be squinty-eyed all along. Never mind. Even when Poppy is not her best, she still looks great. The purple-haired Poppy is worth a mention. I'd always wanted a Poppy with crazy-colored hair. And voila, a Poppy Parker with crazy-colored hair! She was actually just one of the three heads that came in the Mood Changers gift set. Integrity Toys offered separate Poppy doll bodies for the first time, after this set's announcement, which was genius on their part! I couldn't click fast enough to order a few for my Mood Changers heads. The highlight of highlights are my one-of-a-kind Poppy dolls by Park. I don't have many words to describe them. The picture speaks for itself. I had salivated over Park's doll transformations over the years and now I've got me two of his masterpieces. Hands down, Park's work is beyond impressive. He really knows how to enhance Poppy Parker's charm. 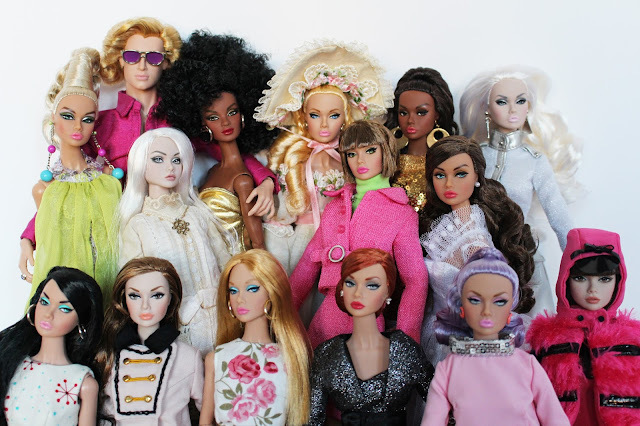 A few Fashion Royalty dolls made it to my doll room last year too. I love how all three dolls I got have different looks that still somehow flow together. As simple as their overall looks are, they are all quality-made, which really puts Barbie to shame. 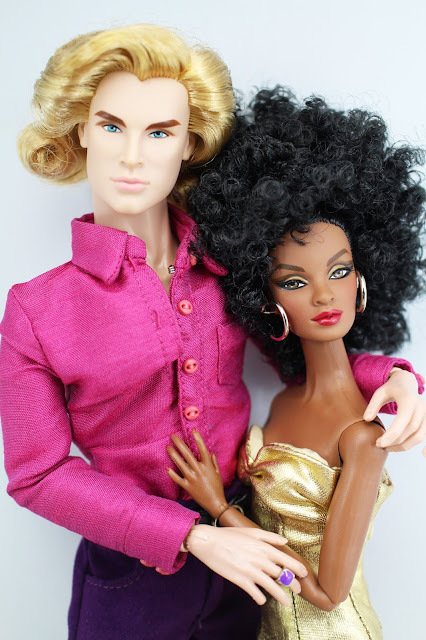 After the whole silkstone fiasco this year, I've lost my confidence in Mattel dolls and didn't want to take the risk...At least IT has great customer service when you've got a doll issue. 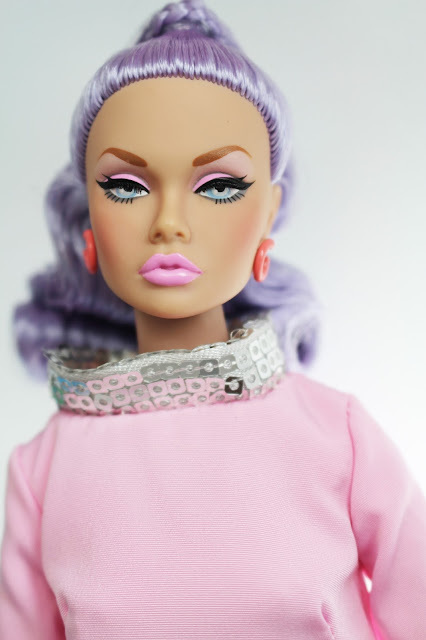 I hope Mattel gets their act together because Barbie deserves better. 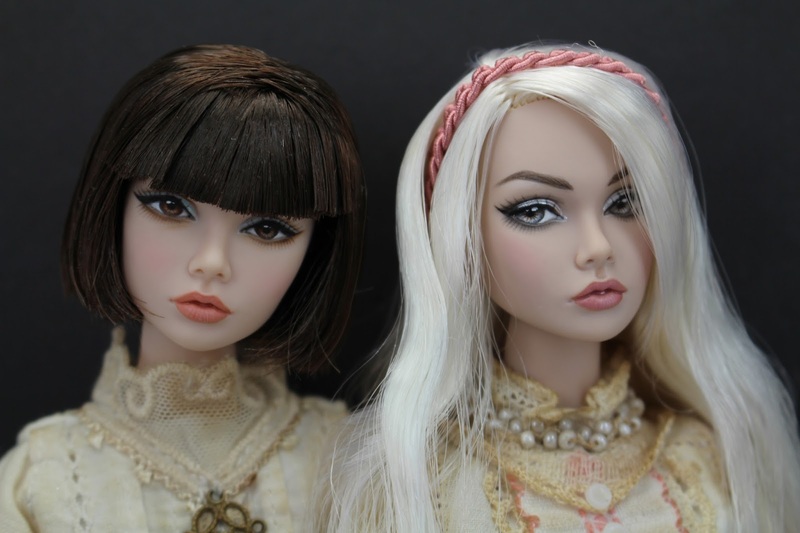 Hopefully the newly articulated silkstone dolls lifts Barbie up from the dumps that she's been in for sometime now. Lastly, I received Sailor Mars, Pluto and Saturn for Christmas, completing my Sailor Moon soldiers collection by Groove. Yay! I think Sailor Saturn is the cutest out of all of them. I don't consider Tuxedo Mask in this mix because he's a dude and Sailor Chibi Moon is not a planet soldier so technically this collection is complete...but if I know me, I will want the two mentioned dolls eventually. 2015 was, overall, a great Poppy Parker year. Someone pat me on the back for having a better focus on my doll purchasing! Wspaniała Kolekcja! Poppy z krótkimi włosami i jej koleżanka z białymi, na piątym zdjęciu - są doskonałe! 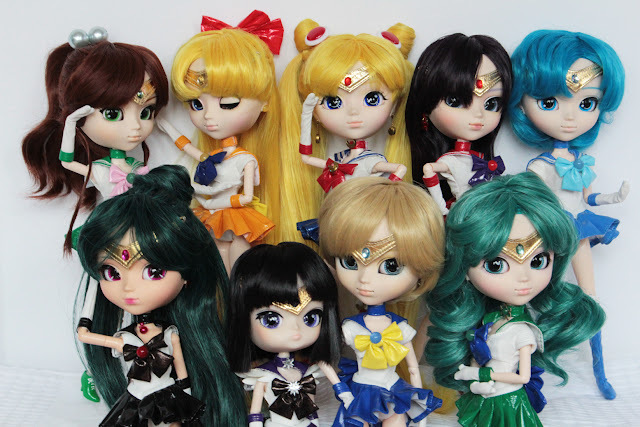 ale gromada pullip rozwaliła na łopatki!! !